This collection of over fifty photographs, accompanied by a detailed history, captures the town and the surrounding area in the late-Victorian & Edwardian era. 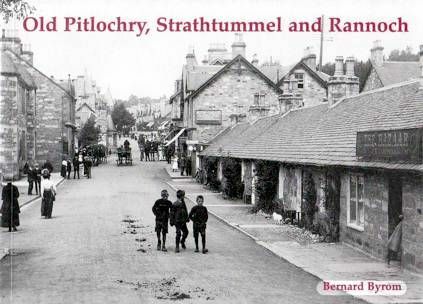 It was Queen Victoria's visit and her interest in the area which made Pitlochry fashionable for tourism. Visitor numbers increased dramatically after the arrival of the railway in the 1860s and the town we know today is basically a Victorian creation.